The Braves were one of eight founding teams in the National League when it began its franchise in 1876 as the Boston Red Caps. From there, the team would be bought and sold several times, undergo new nicknames such as the Beaneaters, Doves, Rustlers, Braves, Bees and then finally back to the Braves. In that year of the miracle, the Boston Braves stormed into the World Series and swept the heavily favored Philadelphia As in stunning fashion, 4-0. Afterwards, Connie Mack disassembled the As, culling the older players, some of which jumped ship anyways to greener pastures. The Braves would not reach the World Series for the next 34 seasons. The Braves had returned to being just standard within the division for the next 30 plus years, eventually returning to respectability with manager Billy Southworth, who had gained fame by steering the great St. Louis Cardinal teams of the 1940s. The National League Pennant was captured by the Braves in 1948, due to mostly the pitching of Warren Spahn and Johnny Sain. The often heard mantra with Braves fans and the newspapers was, (Spahn and Sain and pray for rain). Which indicated the Braves were no good unless those two pitchers were on the mound. In 1948, The Boston Braves locked up with the Cleveland Indians and lost in their second World Series to the tribe in 6 games. For the next four years, the Braves began to lose more money, more fans and prompted owner Lou Perini to look about the country for a new place to move the Braves. Milwaukee seemed to be a good fit, away from Red Sox. The move of the Braves to Milwaukee was the first shift of a major league franchise since 1903 and it closed the book on a 81-year history the team had cemented in Boston. In the final game as the Boston Braves, the Braves ended in a 5-5 tie with the Brooklyn Dodgers at Ebbets Field on Sept. 28th, 1952. They left Boston with 10 Pennants and 1 World Series Championship. The Braves came to Milwaukee and gave the city that was hungry for baseball another baseball team to root for. Free of any other baseball teams in the city taking fans and money away from the franchise like the Red Sox had in Boston, the Braves settled in County Stadium to begin what was thought to be a life-long relationship with the fans and city. While there, the Braves had developed into a National League powerhouse in the 1950s with breakout stars such as Henry Aaron, Eddie Mathews leading the charge with a supporting cast of Joe Adcock and Del Crandall. The pitching staff had Braves vet Warren Spahn, Lew Burdette and Bob Buhl. Aaron and Spahn would capture MVP and Cy Young in 1957 respectively. On the first game at County Stadium, the Braves shutout the Reds 2-0 on April 13th, 1953 on Max Surkonts 3-hit shutout. From there the Braves would play before 1,826,397 fans in that inaugural season in Milwaukee which, by the way, had set the National League attendance record for that time. The team rolled in the 1950s winning back to back National League Pennants in 1957 and again in 1958. Both trips to the World Series saw the Braves and Yankees take the series to seven games. The Braves, led by Lew Burdettes 3 complete games in the World Series in 1957 captured the Braves second World Series title. The team and the city of Milwaukee were overjoyed. However, in 1958, the Braves and Yankees met once again the following year. Another World Series that would go the distance to the seventh game as the Braves failed to repeat as champs. Just like in Boston, the fans began to slow at the gates and didnt fill the seats to watch the team that they loved and cheered during the 50s play. Attendance began to fall sharply and the new management decided that they would uproot the Braves and move once again, maybe to a place that appreciated them more. Wooed by the city of Atlanta, the Braves front office decided that the south would be their new home. City officials were trying to lure major league teams down to Atlanta for some time and saw that the Braves were interested in leaving Milwaukee. One selling point was that the Braves would have no other baseball teams around and the radio and television markets was theirs. The Braves announced that they were leaving the city of Milwaukee which made fans cry, spit and shout words of venom towards the management for the deed. But it was a business move for the team. Atlanta wanted to be the Gateway to the South and wanted the Braves as their centerpiece. A major league team would give the city a major league feel and make tourists look at the city as if they were growing up. Having to wait out their lease in 1965, the Braves finally moved from Milwaukee after the lawsuits, the injunctions and the public outcries to keep them there in Milwaukee. The Braves only drew just a little over half a million fans that year, although most of the fans did not go to the games out of protest. The poor attendance only made the case for the Braves ownership that the move to Atlanta was in the teams best interest. The last game the Braves played in County Stadium was on Sep. 22nd, 1965 against the Los Angeles Dodgers in a 7-6 loss. The crowd that watched the Braves for one last time in Milwaukee was recorded at 12, 577. For the 65 campaign, the Braves were only able to draw 555,584 in the Lame Duck season. With the nations population shift heading to the south, Atlanta was poised to grow-up with having a major league baseball club and eventually other professional sports in the city. 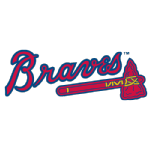 With no other baseball teams close to the Braves in the Southeast, they could turn a nice profit, build a huge following and secure t.v. and radio rights. It was a win-win for the owners, the front office and the fans and a chance for the city of Atlanta to become the Gateway to the South. In the first game in the newly constructed Atlanta Stadium (Later to be named Fulton-County Stadium), the Braves hooked up with the Pittsburgh Pirates in a 13 inning game where the Braves lost, 3-2. The fans, all 50,671 of them, saw Tony Cloninger pitch 13 innings in his first start of the season and future New York Yankees manager Joe Torre smacked 2 homeruns in Braves debut in the Peach State. The Atlanta Braves in the 1960s had some ups and downs. The biggest up since the move from Milwaukee was the Braves winning the NL West Division, something new to baseball at the time in 1969. Their playoff rivals would be the New York Mets the Amazin Mets as they were called. The Braves fell to the Mets 3 games to 0. The 1970s Braves compiled a decade record of 725-883. The highlights of that decade were: Davey Johnson, Henry Aaron and Darrell Evans becoming the first trio in history at that point in time to hit 40 homeruns or more on the same team. Henry Aaron tied and surpassed the immortal Babe Ruths all-time homerun record in April 8th, 1974 and under the radar in the same game, Aaron scored a run, breaking Willie Mays all-time National League runs scored record at 2,063. The 1970s Atlanta Braves also saw Hall of Famer Phil Niekro have some of the best years of his career. He led the National League in wins twice (1974-20, 1979-21) and complete games (1974-18, 1977-20, 1978-22 and 1979-23) and even loses 3 times in (1977-20, 1978-18 and 1979-20). Phil Niekro has the distinction of leading the NL in wins and loses both in the same season (1979). The 80s saw future Braves stars Dale Murphy, Bob Horner, Glen Hubbard emerge as Niekro began to closeout his career. The Braves in 1982 began their march to the playoffs that season by winning the first 13 games of the season and when the season was over, the Braves found themselves with another NL West Division crown, their 2nd since coming to Atlanta. But just like in 1969, they would be swept by the Cardinals 3-0. The Braves would never get back to the post season in the 80s. In fact, their failure as a team would give them the dubious distinction of having lost the most games than any other franchise from 1966-1990. Aside from the NL West crown in 1982, Braves immortal Dale Murphy captured 2 back to back MVP awards (1982, 1983) and was the first Brave since Henry Aaron back in 1957 to win the award. The 1990s saw the Braves turn a complete about-face in baseball. Going from worst to first in 1991, the Braves would roll the National League earning themselves a trip to the World Series 5 times (1991, 1992, 1995, 1996, 1999). The Team of the 90s, as several sportswriters and pundits called them, turned out 6 Cy Young Winners: Glavine-(1991, 1998) Greg Maddux-(1993,1994, 1995). John Smoltz-(1996). Also, the Atlanta Braves of the 1990s produced 2 MVPs in Terry Pendleton (1991) and Chipper Jones (1999). Although they were the Team of the 1990s, the Braves only walked away with 1 World Series championship (1995). And the team won a monstrous 14 division titles in a row from 1991-2005. Mark Wohlers 2.0 " "
Alejandro Pena 1.0 " "
In 1976 , the following poem was sent to season ticket holders: " Rose is a Red , Morgan's one too. They finished first, like we wanted to do. But last year's behind us, we're happy to say. Now we're tied for first, Happy Valentine's Day." In 1982 , the Braves won the Western Division on the last day of the season. The media asked team owner Ted Turner what made this club different from the losing teams of the seventies and he replied, "We have no crazies, flakes, or drug addicts. Did you know that the Braves organization is the only three-city franchise from either league to play in the Fall Classic while representing three different cities?